Are you being a helicopter mom and doing too much for your children? Learn how to stop hovering over your child and focus on these benefits instead. Do you ever feel like you can’t take your eyes off your kids? Maybe it’s because they’re causing mischief. Or we worry they’ll hurt themselves without us nearby. We might even assume good parenting means being hands-on. And so we micromanage everything. We resolve social conflict with other kids. We inspect and direct chores, sometimes redoing them if the kids didn’t do it well. Or we direct their play and take over their crafts. It’s easy to think we have no other alternatives. I was the mom who stood inches away from her toddler, afraid he’d fall to the death as he climbed on the playground. I assumed I wasn’t doing my job if I didn’t play with my kids 24/7. And I was the one who’d step right up the minute they got in a tussle with another child. All in the name of good parenting, no less. So, why the change of heart? I learned that hovering over kids, despite its good intentions, isn’t good for anyone. Doing everything for our kids doesn’t give them what psychologists term, a sense of self. This is the belief and understanding of who they are. Their interests, ambition, or faith in their own capabilities. Hovering over your kids sends a clear message: You can’t do anything on your own. We do too much, whether it’s chores, directing play time or managing every minute of their day. Kids don’t have a chance to find who they are or what they’re capable of. They can’t face or cope with the inevitable difficulties life will throw at them. After all, we’d buffered and saved them as much as we can. So much so that they grow up still depending on us for things they should be able to do. So it’s actually better to stop hovering or get too involved. Picture a mom at the park with a five-year-old. He gets in a scuffle with another child over whose turn it is to cross the monkey bars. Her first instinct is to stand up and make sure all ends in peace. Turns out, her child would benefit much more if she remained sitting down and allowed him handle it himself. It’s awkward and painful, especially if the resolution doesn’t end on a positive note. The other child might’ve said something cruel, or made him feel belittled or hurt. But even those painful moments are just as valuable as those with a positive resolution. Her son will learn how to think for himself when someone hurts or mistreats him. He’ll draw within himself the tools he needs to stand up for what he feels is just. He’ll learn forgiveness and the balance between brushing things off and taking action. He won’t learn any of this if his mom steps in and tell the kids what to do. Back in the day, we never had “play dates.” We played on our own—unsupervised—with other children. We learned how to make friends and cope with frustration. These are just a few of the benefits kids miss out on when we hover. And that’s just one example of hovering over your kids. Think of the other ways, like not letting them out of our sight at home. Micromanaging their tasks. Not giving them alone time or the space they need for downtime. You might think What if bad things happen? What if my child does get hurt? What if she won’t know what to do? No doubt, there’s a slim chance your child will slip and fall off the ladder at the playground, all because you weren’t there to catch her. What to do? Use your best judgment and how well you know your child and her capabilities. A child who can climb a playground structure won’t need as much guidance as one who still can’t. Weigh the benefits and downsides of your presence. There’s still a chance your child will fall, even after you’ve decided she’s more than capable. But what’s better: to project your fear and hover over her for the slight chance she’ll fall? Or projecting the confidence you have about her abilities? Be present when you’re needed. And if you’re not, it’s best to step aside. Each parent will make her own decision on how much autonomy her child can handle. But giving your child autonomy will help her develop a sense of self. She’ll feel motivated to take her own initiative and stay focused because she has a say in what to do. So, how can you stop hovering over your kids and give them the time and space to discover? Stay nearby while you let your child do her thing. For instance, your six-year-old can wash dishes while you cook. Your toddler can play with Lego while you read on the couch. You’re nearby, but not directing your child’s activities. By staying nearby, you can keep an eye on your child while giving her the space to work and play on her own. You’re near enough should she need or want your company, but not hovering so much that you take over her play or task. Your child can enjoy herself even when she’s not playing “the right way.” She doesn’t have to create the Lego pieces exactly like the picture. She might have more fun creating her own figures and creations. The best part? Your child will feel more invested in play because she gets to decide how it goes. After all, play is the best way for children to develop skills and manage their feelings. Hovering over your kids and telling her how to play defeats its purpose. Get more tips about helping children make good decisions. One of the most difficult parts of giving kids space is watching them struggle. It’s tempting to shield them from hardship, but kids benefit with figuring things out themselves. And yes, even when they fail or make mistakes. When you see your child struggling to put the wrong puzzle piece, stay back. Don’t solve the problem for her. Otherwise she doesn’t have the chance to figure it out herself. And if she’s truly struggling, simply say, “Let me know if you need help.” And even then, only provide the minimal amount of help to get her started. You might help by putting all the pieces picture-side up. Or suggest that she look for a puzzle piece that’s also blue. All without doing it for her outright. Perhaps the simplest way to stop hovering over your kids is to ensure they have time alone. Don’t schedule or manage the day so much that they don’t have a chance to relax and tinker at home. That could be the hours after school, or weekend mornings to lounge at home. It could even mean leaving your child alone if you see her reading a book. Kids appreciate having time to themselves. And don’t worry about not paying enough attention to them. Your kids will let you know when they’re ready to spend time with you again. They’ll likely stop what they’re doing and come up to you, or ask you for help. It’s scary, I know. Holding back and letting your child figure it out on her own is a challenge for many parents. It might be standing a few feet away as your toddler climbs the playground structure. Maybe it’s letting your preschooler sort a scuffle with another child unaided. Or it might be hanging back so your child can do homework all on her own. Hovering over your kids is tempting but sends the wrong message. Despite all its good intentions, it tells your child you don’t think she’s capable of doing it on her own. She isn’t able to trust her own judgment, or even enjoy the activity. Instead, give her the time and space to figure things out. She’ll develop a strong sense of self and the autonomy she needs later in life. 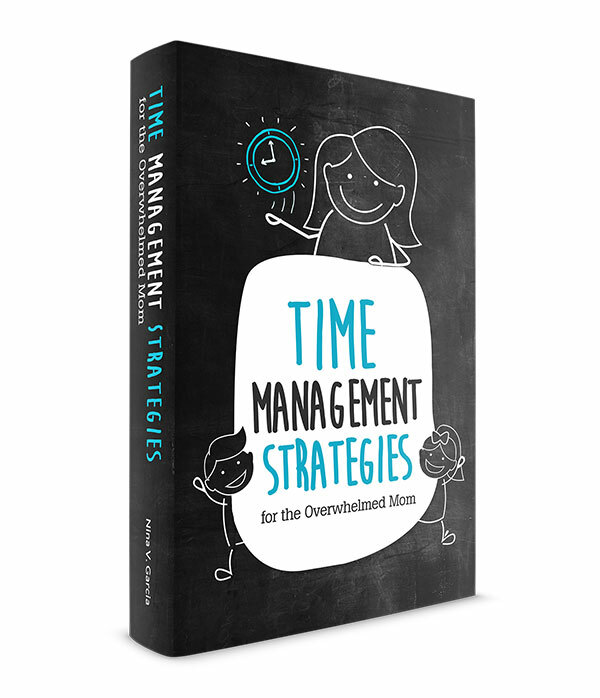 Looking for actionable steps and quick wins in parenting? 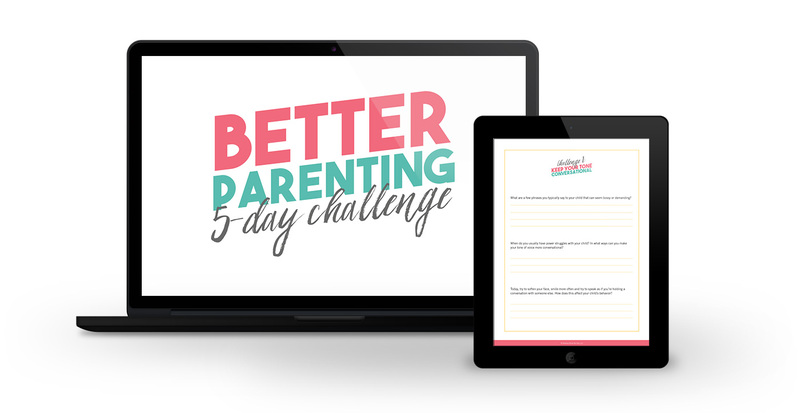 The Better Parenting 5-Day Challenge is for parents who know they want to improve but need that little nudge and supportive guidance to do so. 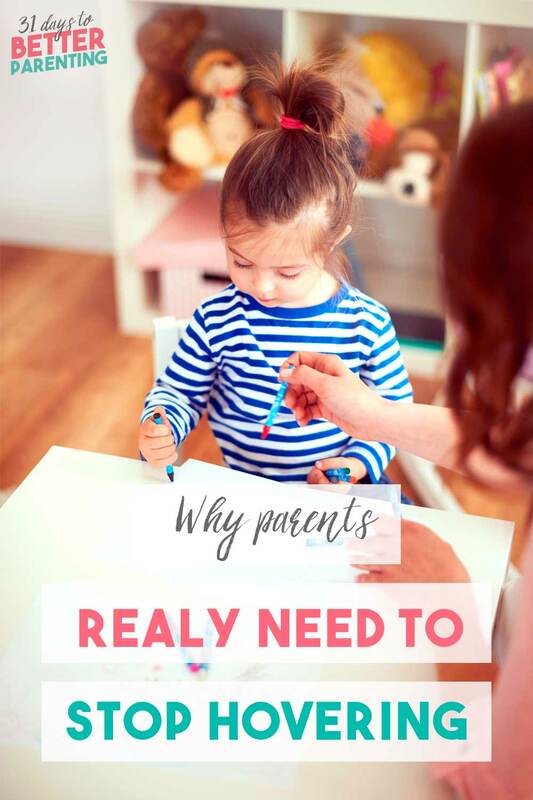 Over the course of 5 days, we’ll tackle one actionable tip you can implement right away that will drastically change the way you raise your child. This is your chance to challenge yourself and make the changes you’ve always wanted to make. Sign up today! Tell me in the comments: Do you consider yourself a “helicopter mom”? In what areas can you try not to hover as much?